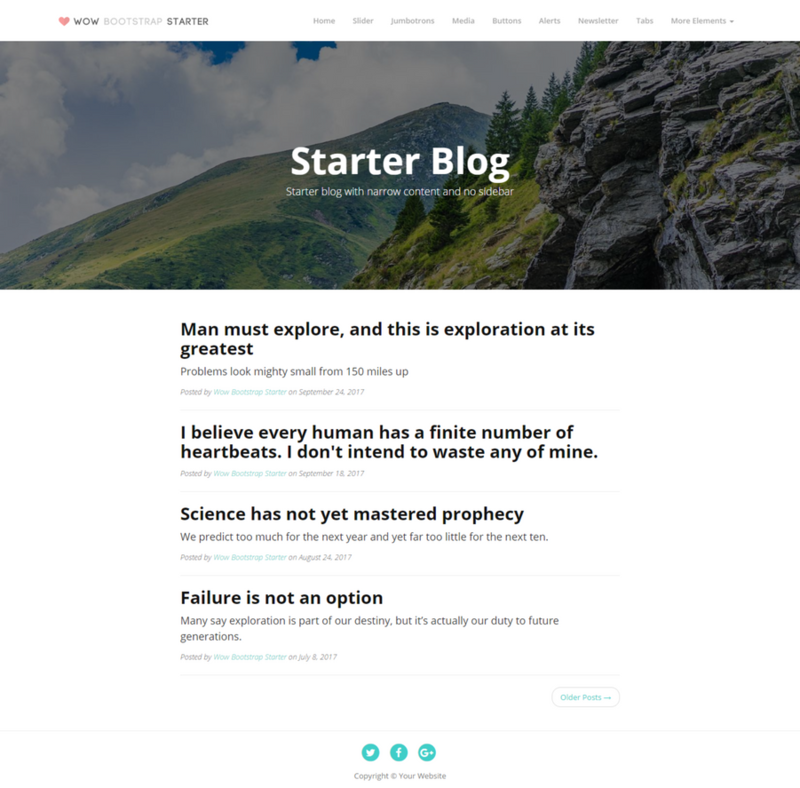 Are you a looking for a quick fun way to create a Bootstrap based website without predefined templates? 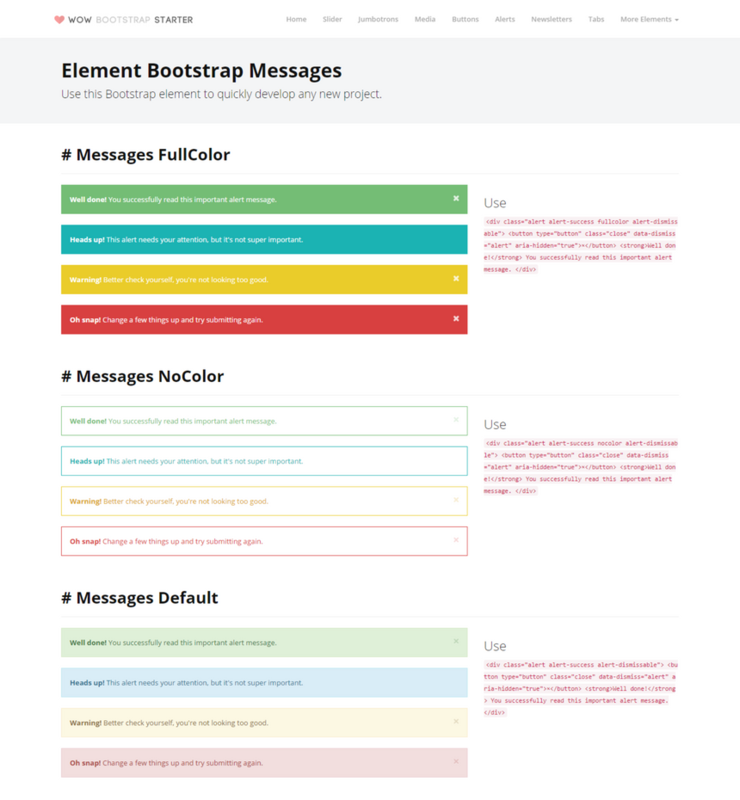 Weâ€™ve created Wow Bootstrap Starter Kit and weâ€™re releasing it for free for your personal use. This kit features a set of nice polished Bootstrap elements to help you get easily started with your next Bootstrap based design project. 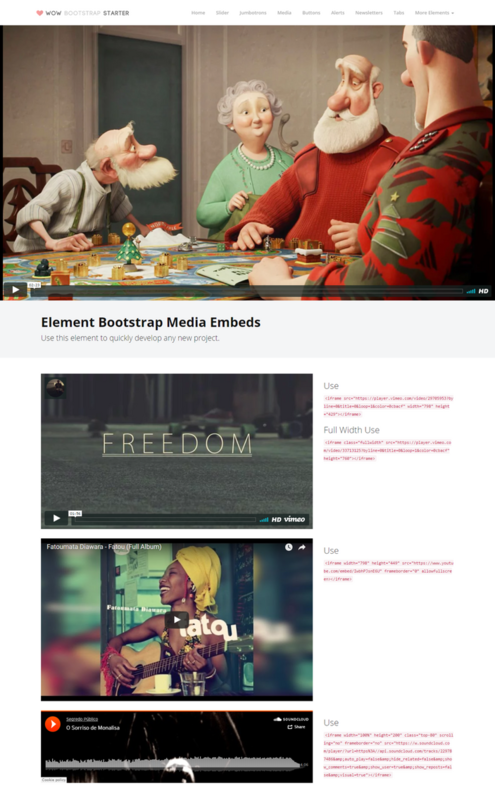 Bootstrap Media elements include a full width & height video header & Vimeo, YouTube & SoundCloud embedded players. A set of flat Bootstrap buttons, round, square, ghost & full color. 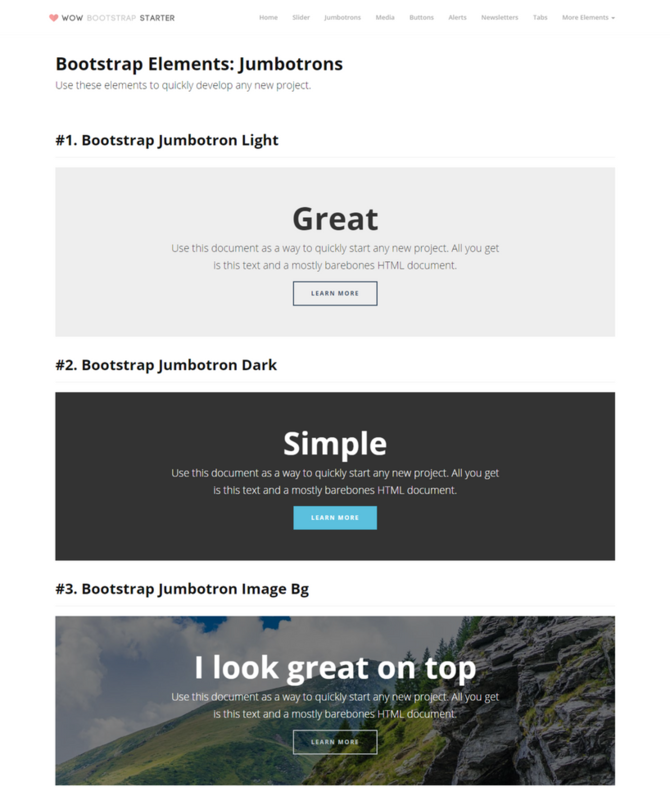 A set of flat Bootstrap alert styles, full color, no color & default. 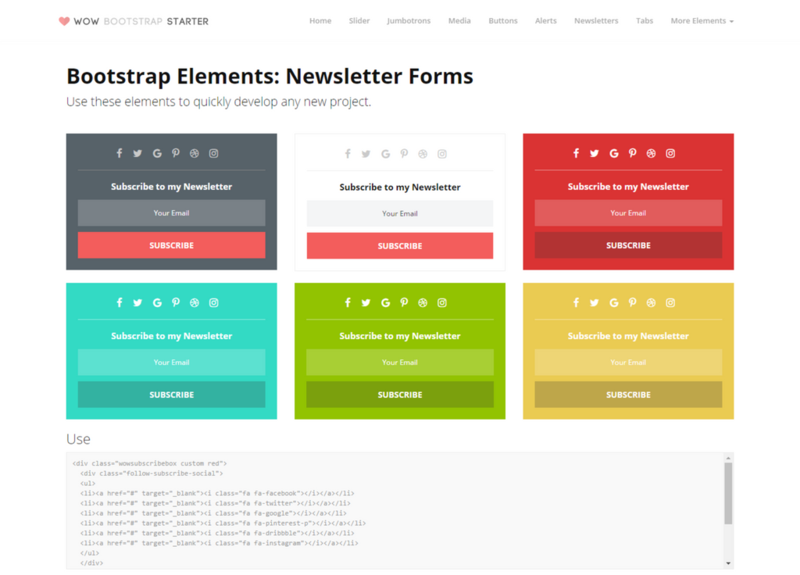 A set of predefined newsletter styles, colorful & flat.